Now eating at fancy hotels may not be your thing which is why a lazy afternoon of high tea at one of Colombo’s 5-star hotels is the perfect way of catching a glimpse of how the wealthier half of Colombo lives whilst seeing what all the food fuss is all about. That’s pretty much what I did this time around in Colombo. 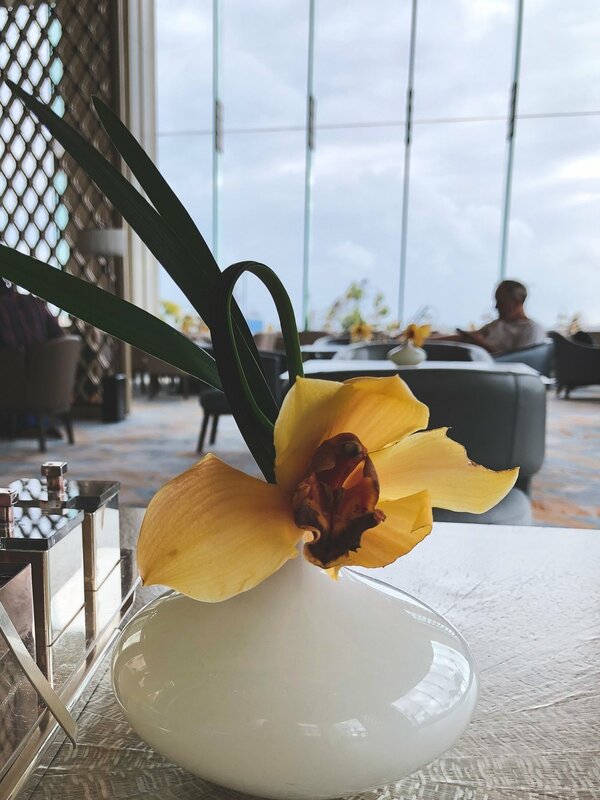 Several hours before my plane to Sydney was due to depart, I caught a taxi to Colombo’s newest and shiniest 5-star hotel – the Shangri-La Hotel – and melted into its ambient luxury. Airline cattle class with its dreary mediocrity could quite frankly wait. 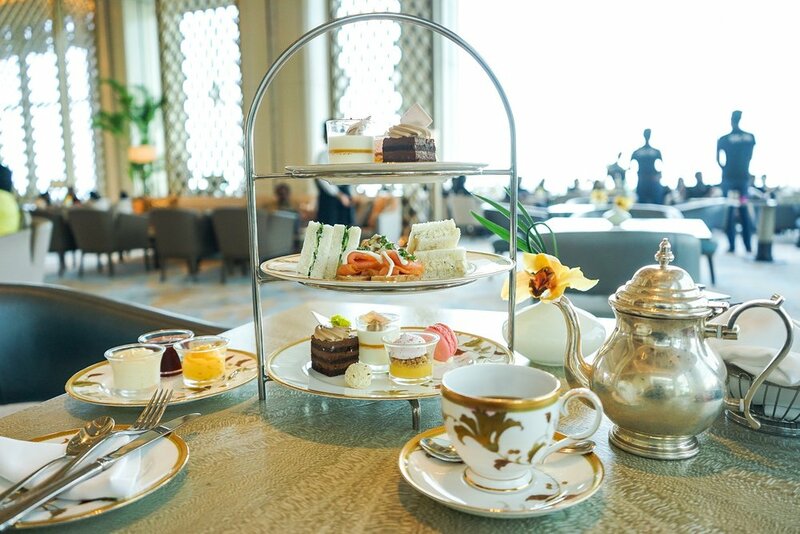 As I entered the staff at the Sapphyr Lounge of the Shangri-La Hotel appeared to be a bit flummoxed by a single person wanting to have high tea on her own and queried if I was OK with a platter designed for two. This was not a good sign. 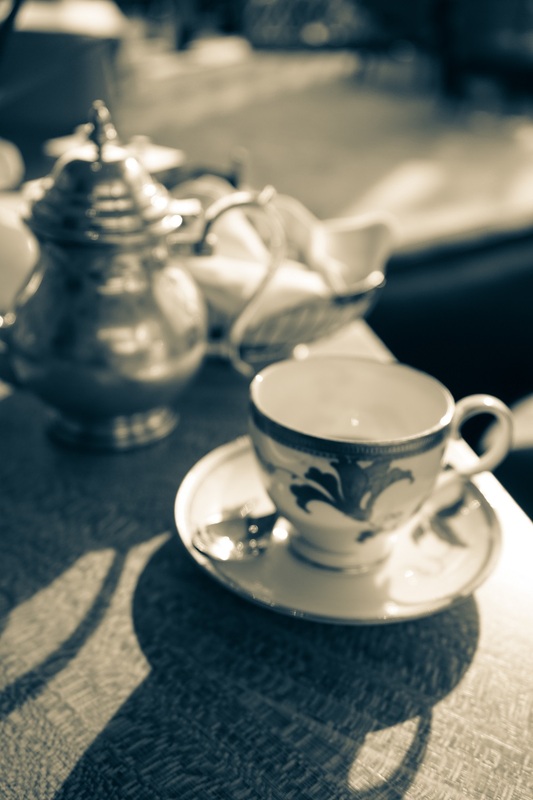 Was there some rule about high tea which I hadn’t read about?? And I’ve since learnt that there are 3 types of high tea at the Sapphyr Lounge – the afternoon platter, the Sri Lankan platter and the Western platter. There was no such choice given to me (or a price list – but perhaps I should have asked). In the confusion, it seems the staff had silently decided that the “afternoon platter” was best for this lost soul. It was reflective of service generally that afternoon – extremely pleasant and accommodating but a little inexperienced at times. To get things going, I chose Ceylon Supreme tea from the usual tea selection and it was quite good in strength and flavour. The real show stopper though was the food on the 3-tiered afternoon platter which had 4 types of savoury items and 5 sweet items. A commendable variety. Of the savoury items, the Vol-au-vent with Chicken was a delight – the perfect balance between taste and texture with the creaminess of the chicken complementing the crispness of the surrounding butter puff pastry. The scones were also very good with either (heavenly) passionfruit curd or strawberry jam available to smear on them. My only wish was that the scones had come out a little warmed, but I suppose you can’t have everything. My absolute favourite sweet item however was the White Chocolate Panna Cotta with Mango and White Chocolate Jelly – quite an irresistible combination so it was lucky I was alone eating a platter for two. That’s right, I didn’t have to ask anyone else to eat seconds! 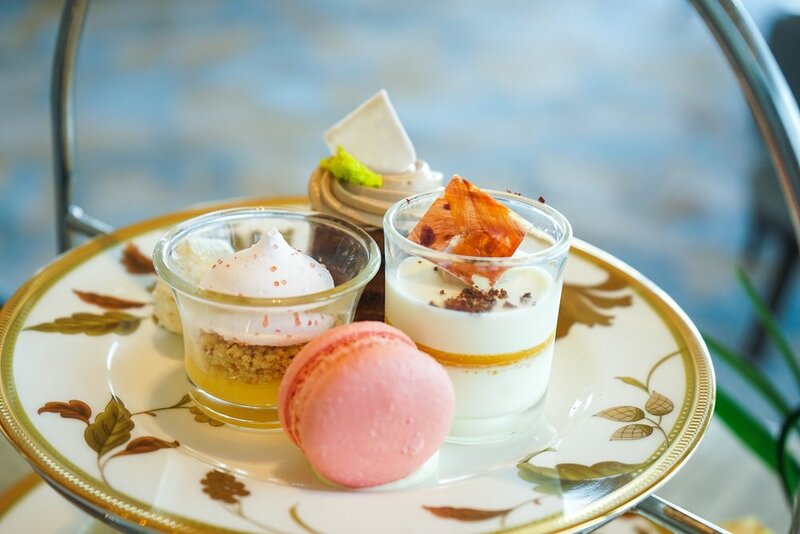 The "afternoon tea" platter at the Shangri-La. Savoury items included vol-au-vents with creamy chicken filling, smoked salmon on mini toasts, creamy egg sandwich triangles and cucumber and cheese sandwich triangles. Sweet items included scones with cream, strawberry jam and passion fruit curd, strawberry macroon, white chocolate truffle, chocolate and hazelnut layer cake and white chocolate panna cotta with mango and white chocolate jelly. Demolishing three tiers of high tea gastronomy designed for two on one’s own takes some doing so I ordered a pot of English breakfast tea to continue my leisurely crusade. The Sapphyr Lounge is in fact perfect for such meandering with a calm ambiance and soft afternoon light streaming in through the surrounding glass. It’s a truly civilised way to do some people watching and to watch the world go by. Around me was a mix of local families (with super cute kids), a group of friends, a small corporate gathering and I even spotted another single person sipping tea on their own (although he had clearly said no to the 3 tiers of food!). It’s moments like this when time is eternal. 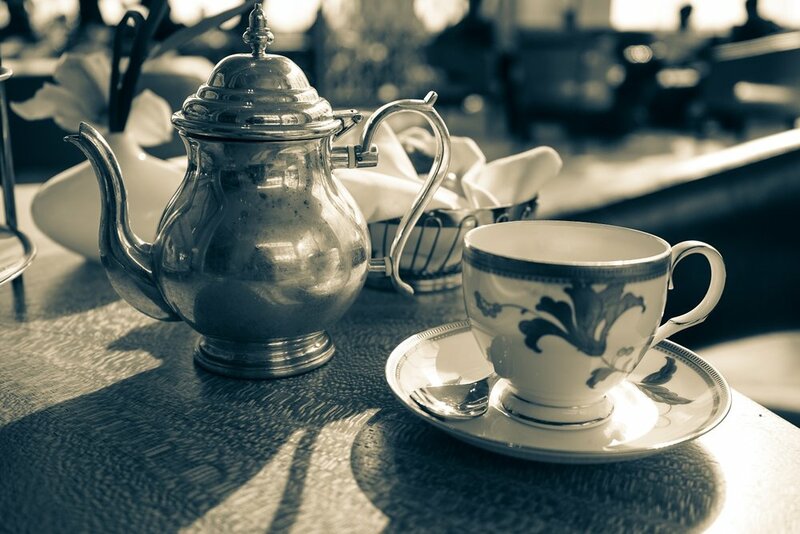 I had expected to be charged for high tea for two (which I had accepted given the earlier conversation and I had anyway come for the experience) but I was pleasantly surprised that the bill totalled Rs. 2475 (approx. A$20) which was an individual bill. So, despite my earlier misgivings, the Shangri-La Hotel done the right thing and rounded out the perfect afternoon by making me a happy customer. High tea at the Shangri-La Hotel, Colombo? Yes, I would definitely recommend it. Ps. The Sri Lankan magazine Pulse has recently published an article overviewing high tea in Colombo and this review also includes places other than the 5-star hotels offering high tea so you may also want to check that out before making your all important decision on where to go for high tea in Colombo.